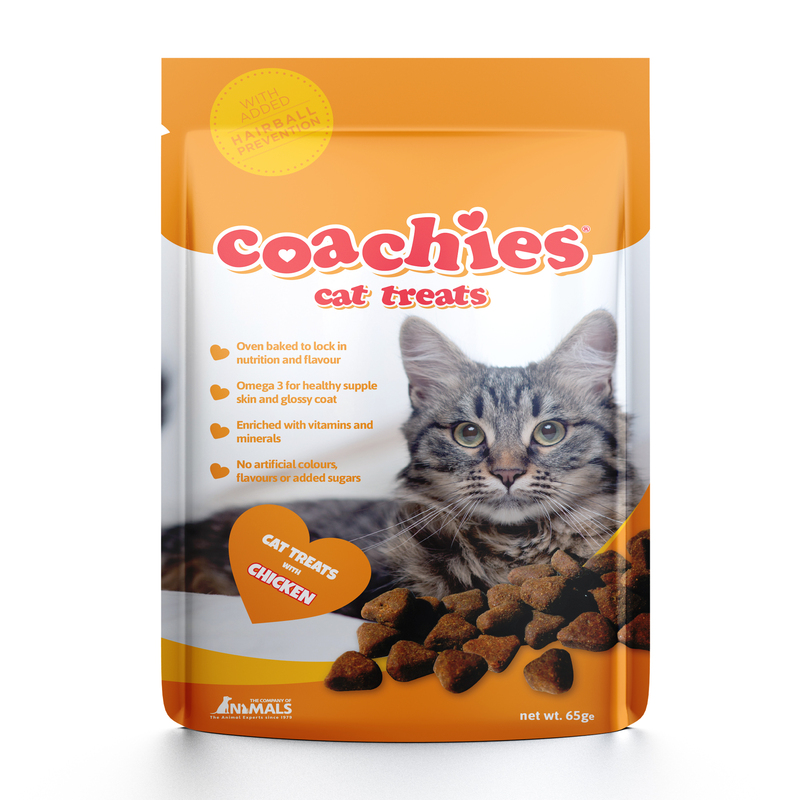 Coachies Cat Treats are tasty, 100% natural treats which have been oven baked to lock in the flavour and goodness. They come in two great flavours which each have their own benefits for your cat. Each pack of treats has added Taurine to support a healthy heart and eyes, and natural anti-oxidants for superior absorption and digestibility. They also contain no artificial colours, flavours or added sugars. The chicken flavour treats help to combat hair balls, while a rich source of Omega 3 provides aid for good mobility and healthy joints. The tuna treats have a low calorie content with added shrimp to provide a rich source of Omega 3. There are currently no questions for Coachies Cat Treats - be the first to ask one!